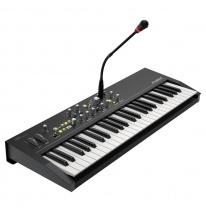 A string synthesizer is an instrument you do not meet often in studios, and it does not reproduce a beautiful sound of real string instruments. It is actually more of a synthetic sounding synth that transfers you to 70s or 80s. Waldorf’s Streichfett is one the rare string synthesizers still in production (which started in 2013). 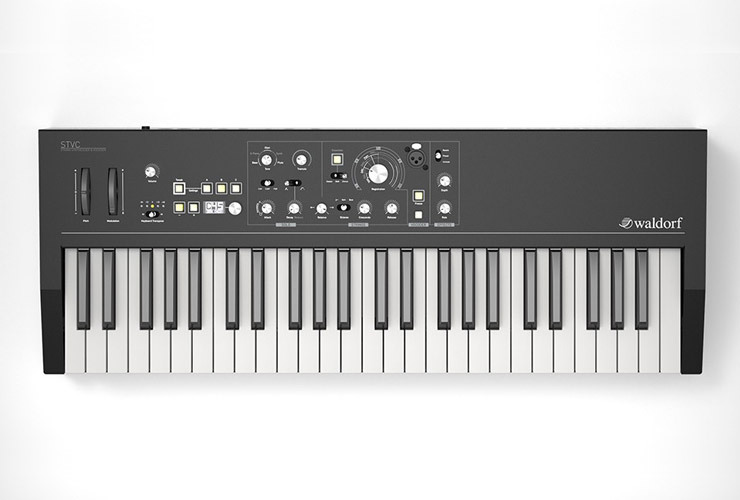 This year during NAMM 2018 the company announced STVC – it is a synth based on the same polyphonic Streichfett engine, but now with an aftertouch keyboard and a vocoder. For an easier control of 126 programmable patches you also get an OLED display, there is one XLR input for your microphone, and pitch/mod wheels. Another thing we like very much is that STVC is made out of metal, so it is a solid instrument without a cheap plastic feeling. Only time will tell if STVC can become a commercial success, but we believe it is a very interesting, cosmic alternative to your regular synths (or should we call it a must have add-on for your studio? ).